Windows 10’s taskbar got a new page in the Settings app. This change is a part of Windows 10 Preview build 14328 and it along with other taskbar improvements arrived for Windows Insiders on the Fast Ring. 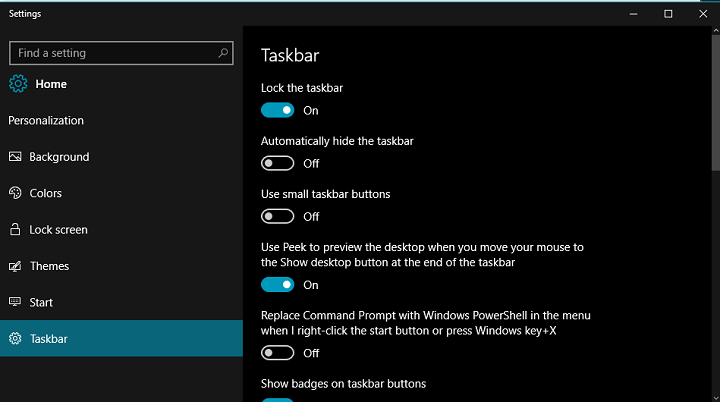 There are two ways to access the new taskbar settings page. You can do so by either right-clicking the taskbar and choosing Settings at the very bottom of the menu, or going to Settings > System > Taskbar. Both ways open the same page in the Windows 10 Settings app. In the taskbar settings page, you can customize the taskbar how you’d like. You can change its location, lock/unlock it, manage apps, notifications, and more. When you open the taskbar settings page, the first option you’re going to see is “Lock the taskbar.” As you can probably tell, this option locks the taskbar so it can’t be resized, moved, or anything else. There’s also an option to automatically hide the taskbar when you move your mouse cursor from it. All these options have been here since the release of Windows 10 but there’s one new option introduced with Windows 10 Preview build 14328: the ability to turn taskbar badge notifications on or off. In addition, at the very end of the taskbar settings page under the “Notifications area,” you can manage system icons and choose which icons appear in the taskbar. 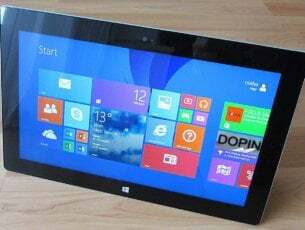 Windows 10 is already a highly-customizable operating system with thousands of options. But that isn’t enough for Microsoft and the company thinks it’s not enough for users, as well. So, we’ve received new customization options with every Windows 10 build lately. And all these customization options and features will arrive for all users with the Anniversary Update for Windows 10 this July.